Can love offer a new future…in the past? 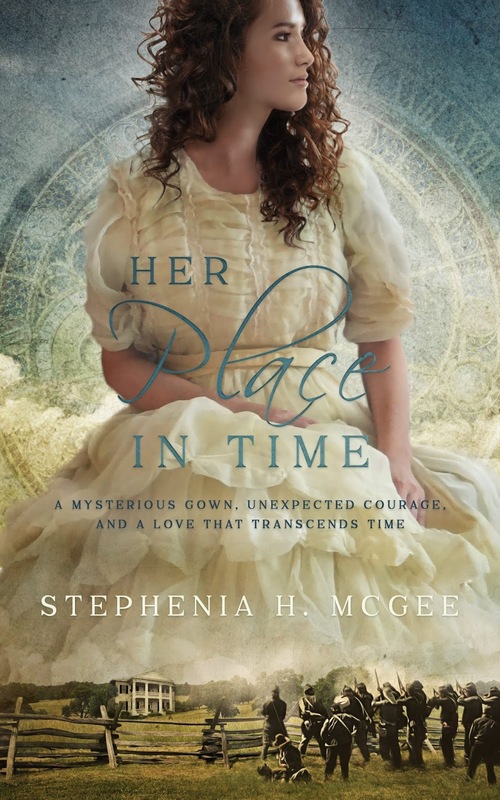 A mysterious gown, unexpected courage, and a love that transcends time. 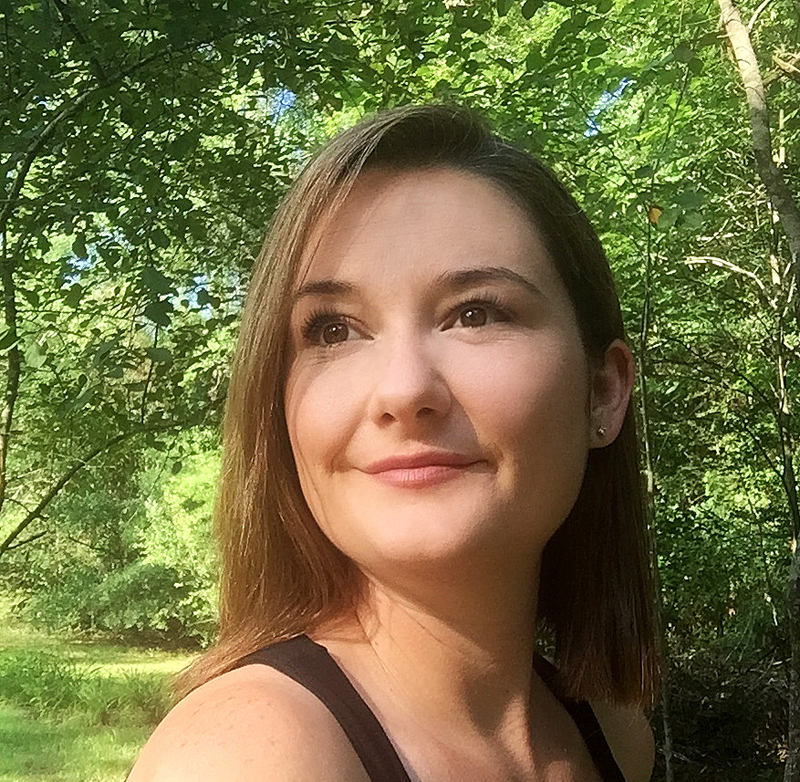 Nursing student Lena Lowery faces a grim diagnosis and a dangerous surgery. On the cusp of the life-changing procedure, Lena stays at the Rosswood Plantation Bed and Breakfast for one last weekend with her mother. There, in an antique armoire, Lena discovers a Civil War-era gown that holds an unimaginable cure…a trip back in time to when the house served as a hospital. Confederate Sergeant Caleb Dockery lost his brother, his eye, and nearly his life. Stuck in a makeshift infirmary, he’s counting the days until he can return to duty…and seek revenge. When a stranger appears, he suspects she’s a spy. If he can’t return to duty and find the revenge he craves for his brother’s death, he can serve his country by stopping this traitor. But her nursing skills are saving lives, and her courage and independence stirs his heart. When Lena’s safety is threatened, Caleb must strain the loyalties that bind him or risk losing her forever. Caught between a future that holds no promises and a past that could offer new life, Lena must face an extraordinary decision. Should she return to her own time where her days are numbered? Or can she and Caleb find a love that stretches across time? If you like historical romance with a twist, strong female characters, and heroes that transcend eras, you’ll love this journey through time that tests the limits of love. 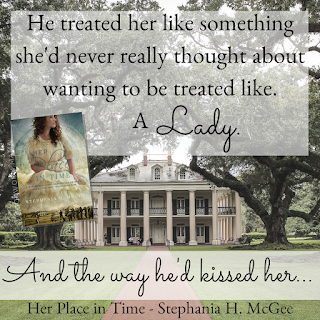 *Her Place in Time is set in the house from The Liberator Series, just prior to the start of Leveraging Lincoln. Fans of the series will enjoy seeing Annabelle and Peggy in this new novella. Wow! A time traveling, romantically swoony, culture-clashingly unique story awaits you within the covers of this book! Being a novella, this is a short story and a quick read. But you will fall in love with Caleb....er...I mean Sergeant Dockery...and Lena very quickly! The history is fascinating, and I loved watching Lena learn and grow in the past. You will probably want to read this in one sitting, so clear your schedule! I don't want to give away too much of the story...But you should definitely pick up your eBook today! I received a complimentary copy of Her Place in Time. I was not required to write a positive review. All opinions expressed are mine alone.